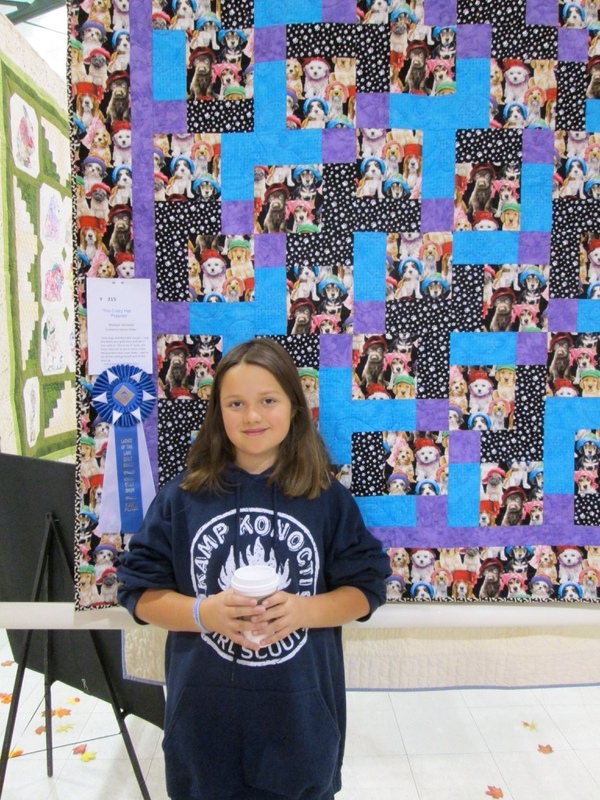 Isn’t this quilt beautiful, just like the young maker! This is her third quilt and it is wonderful. I’m so proud of her work. I was told that when the binding seemed to go on forever, she didn’t quit. Great dedication for an 11 year old. She also did the rotary cutting and helped pick out the quilting design. I was truly pleased and amazed to see how straight and flat it hung on the quilting machine. A well deserved Blue ribbon for a delightful young lady. Less than two months before we’ll return to Modesto for the Valley Home Educators Convention…. Always a great show. If you are in the area, you should definitely plan to stop in and take advantage of all the wisdom to be found under a single roof…. This is their 20th Anniversary and it is sure to be spectacular!!! Come by and visit us at our booth located in the lobby. We will have some very special pricing for this event..
Just had to take a break and work on something fun. Wonder how long he will be pinned on my design wall before I have a chance to work on him again. 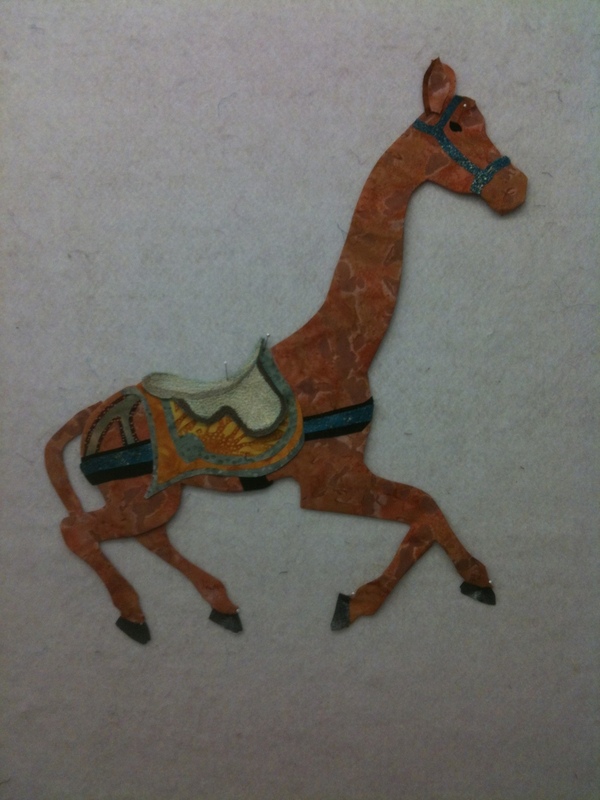 Yes, I decided it is a little boy, giraffe. He doesn’t have a name, nor a quilt to live on…. yet! I’m so excited! I just recently found out that I am going to be presenting twice at the Valley Home Educators Convention that runs July 27-28, in Modesto. As I have done in the past, I will be presenting a vendor workshop explaining our sewing curriculum designed especially for private and home educated students. In addition to our text, we also have the program in DVD format. If that isn’t exciting enough, I have also been given the opportunity to share how to integrate the fascinating study of textiles into any study of people, places or time periods in history. Can’t wait for July! This is a fantastic Convention. Great People! Great Location! Great Information! Hope to see you there! Only a few more days until I head to the central valley of California to teach a piecing class in both Oakdale and Manteca. I can’t wait to meet new quilters who are excited about learning something new! It is one of my all time favorite activities. Well, Here’s that video tutorial I promised. Enjoy! Well, Stinkers! The link worked last night. This morning the link says “private”. Back to scratching my head!!!! I’ll figure it out eventually.